Our data scientists will scout the web 3.0 and detect the ones relevant for you. Express the trust you have in data sources and we will manage inconsistencies and duplications for you. 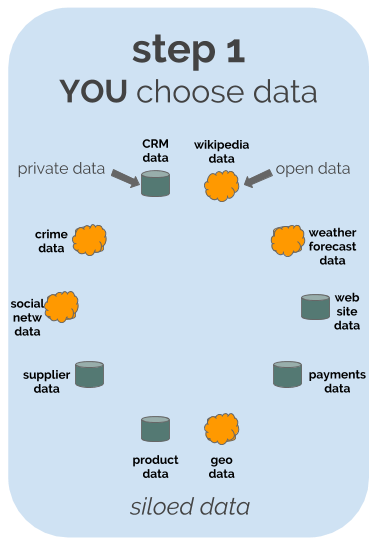 Don't worry, you can start with just two data sets and add the others step by step, at any time. 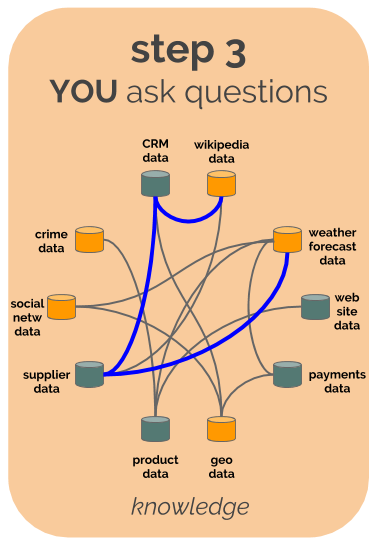 We use the power of the last generation graph databases to link your data. 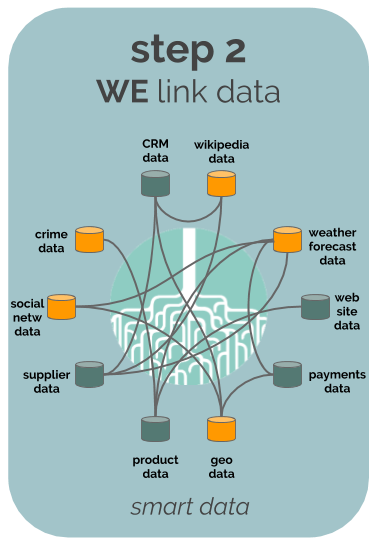 Our team of experts will add meaning to your data transforming them into linked data. Don't worry, our service is always available and your data will be always up to date. How should I ask question to data? Just define your questions in plain english and our data scientists will create the queries for you. How can I connect this service to my systems? Use our APIs to export answers as CSV, XML or json directly into your systems. Which value can I extract from data? The point in web 3.0 is not having data but getting value from them. We have a method based on design thinking to do that.